SEPTEMBER 8, 2016, SEATTLE, WA – Uptime Institute, the globally recognized data center authority today announced Uptime Institute Symposium: China set for 22 March 2017 in Shanghai at the Grand Hyatt. The Uptime Institute Symposium: China is designed to directly focus on both the opportunities and unique issues and assets in China, coupled with the ability for broader discussion on pressing global innovations and challenges. 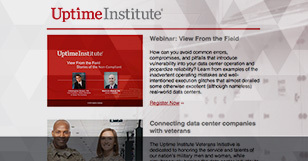 This senior-level, exclusive event allows delegates to hear from Uptime Institute senior resources on key issues and topics on the data center and IT infrastructure landscape. Topics will range from a keynote and plenary sessions that speak to global issues and trends along with local issues presented by area experts and select guest speakers. The program will focus on the strategies for deploying data centers that are reliable, efficient, and responsive to the business environment with the ultimate goal of achieving IT Infrastructure Excellence. The regional events are a strategic shift for Uptime Institute in order to bring Symposia to a number of markets around the globe, beginning in Dubai 7 December, 2016 at Uptime Institute: Middle East, and China in March of 2017. A full 2017 events calendar will be available from Uptime Institute soon. Additionally, Uptime Institute will participate in a number of important Data Center events from our sister division, 451 Research. These include the launch of Data Center Executive Summit in New York, 8 November, and an extended presence at the London-based Data Centre Executive Summit on 20 October.